In the week leading up to Easter, you have noticed a higher than usual ratio of black smock wearing types on the streets of the Melbourne CBD. The only reasonable explanation was the National Architecture Conference was in town! Being married to The Brooding Architect means that by default lots of our friends are architects (and sympathetic architectural ‘widows’), so conference time means lots of catch-ups with less brooding architectural types. One night we caught up with one of our favourite smock wearing couples – The Sophisticated Brisbane-ites – for a relaxed Italian dinner at The Mess Hall Restaurant. The Mess Hall is a cosy little restaurant, tucked up on the Parliament House end of Bourke Street. The Mess Hall is one of those no booking places, however you can generally score a table for a group of 4 or less without too much of a wait. The Sophisticated Brisbane-ites love their food and drink and already had meals planned at a number of fancy, big-name Melbourne restaurants during their visit, so I wanted to take them somewhere a little more casual and cozy – reflective of the fantastic array of ‘cheap and cheerful’ restaurants we are lucky enough to have in abundance in Melbourne. In total the bill was just over $210 for the 4 of us and we we were not at all reserved – ordering 3 starters, 4 mains, 2 side dishes, a decent bottle of red and a round post dinner coffees. I should also add that the portions at the The Mess Hall are extremely generous. We definitely did not need the side dishes and could have easily made do with 2 starters between 4 people. The starters at The Mess Hall are very well suited for sharing - perfect as this means you get to sample a little bit of everything. We ordered a plate of the San Danielle Proscuitto ($14.50), the Calamari Fritti ($13.50) and the Zucchini Fritters ($14.50). The San Danielle Proscuitto is a plate piled high with delectably thin slivers of salty, rich proscuitto, served with a sharp pecorino cheese and some homemade grissini. The sharp, bite-y pecorino is a lovely contrast against the richness of the proscuitto. The grissini is delicately falvoured with fresh rosemary, adding an element of crunch and texture to the dish. My image consultant (AKA The Brooding Architect) tells me that my photos of the Proscuitto are “too sub-par for public viewing”; so you will just have to trust me when I tell you that it looked delicious. The piping hot Calamari Fritti was served on a bed of peppery rocket, with lemon wedges and a rich, garlicky tartare sauce. 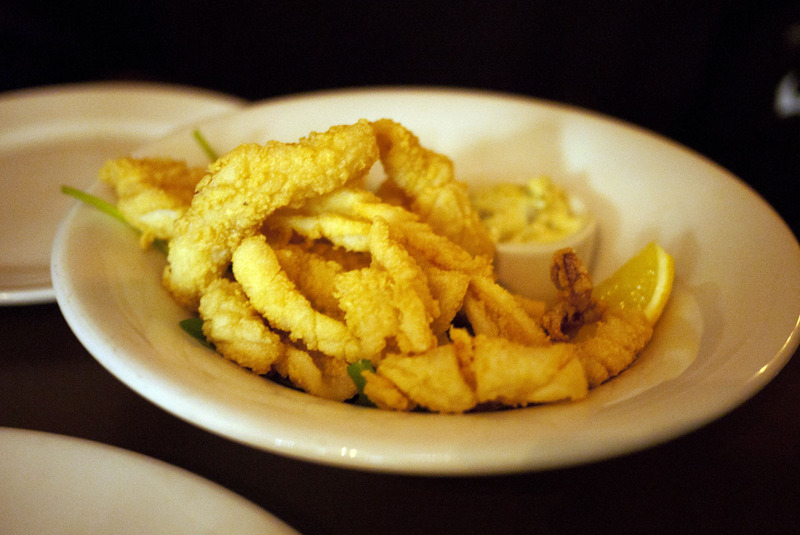 The calamari was tender and sweet, with a lovely crunchy, batter coating. A very simple, but well well executed dish. Somewhat unusual for an Italian restaurant, the fritters are a combination of zucchini, corn and coriander, with a sweet / sour dipping sauce. Despite my initial reservations, the Zucchini Fritters were my pick of the starters. Despite my initial reservations, the flavour combination just worked. 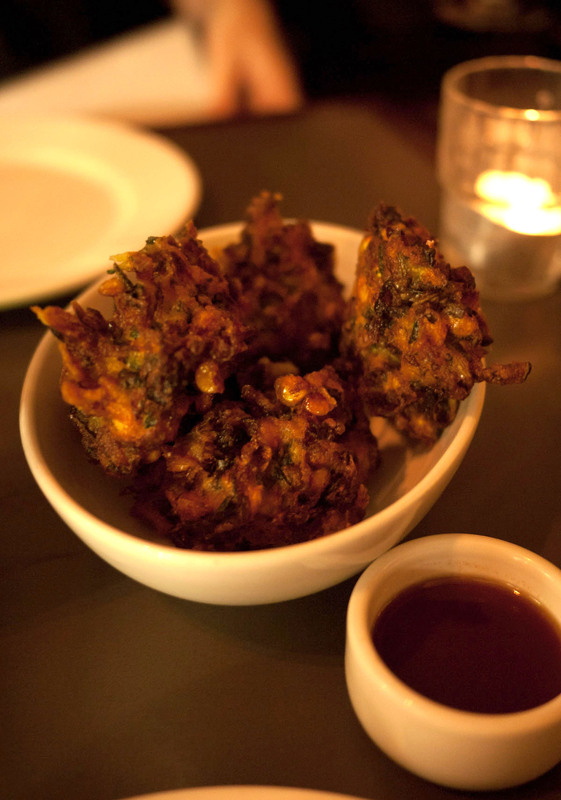 The Fritters were golden and crunchy, with bursts of flavoursome sweet corn popping in your mouth. This would be a great dish to accompany a cold beer or zesty white wine, if you wanted to pop into The Mess Hall for a casual post-work drink one evening. 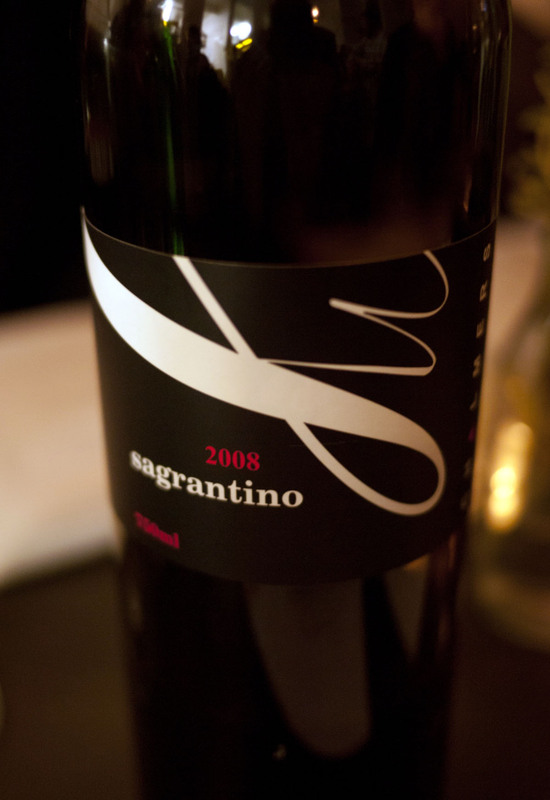 While waiting for our mains, we enjoyed a glass (or two) of this very decent bottle of Red ($42). The Brooding Architect and I are trying (somewhat unsuccessfully) to reduce our carb intake at dinner. Working a desk job and having eating as your hobby are unfortunately not the secrets to a slevete frame. However, when we eat out (which explains the unsuccessful component of this plan), the ‘diet’ goes out the window and we order as much carbohydrate goodness as we desire. With this in mind, I could not resist the Gnocchi with Duck and Red Wine Ragu ($24.50). 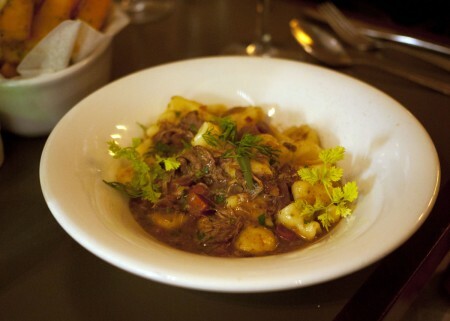 The Gnocchi were lovely, light ‘pillows’ of potato and were served with a rich melt-in-your-mouth duck, red wine and tomato ragu sauce. It was hearty and comforting – perfect with a big glass of red on a cold Melbourne night. The Sophisticated Brisbane-ites must have been on my carbohydrate wave length, with one half of the Sophisticated Bisbane-ites ordering the Gnocchi, while the other half opted for the Squid Ink Taglitelle with Scallops, Chilli, Garlic and Herbs ($24.50). I didn’t get a chance to sample the Tagelitelle, but it certainly looked – and by all accounts tasted – delicious. 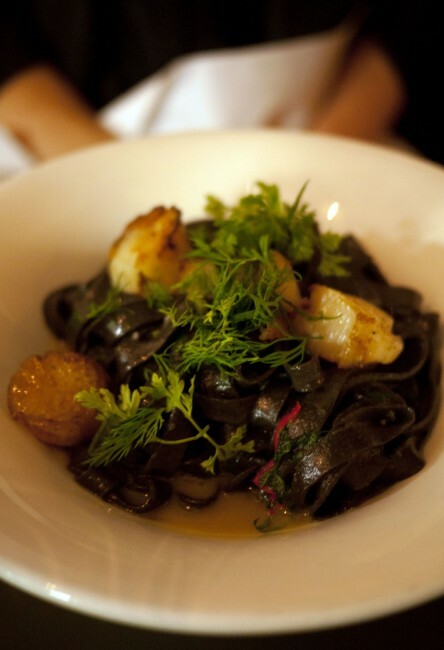 The pasta was a lovely deep black colour, topped with beautiful carmelised scallops and baby herbs. While my Gnocchi was very good, I was struck by a a very serious case of meal envy when I saw The Brooding Architect’s Pork Belly, with cucumber, apple and chives. 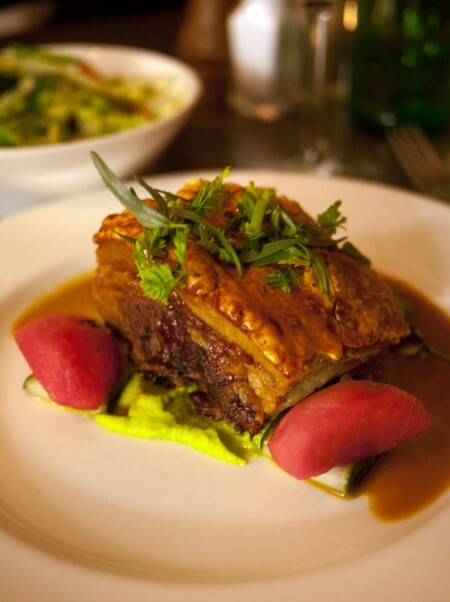 Plus pork belly is low carb so it must be good for you! The Pork Belly was monstorously big, golden and crunchy. In my mind you can’t get a much better sound than that wonderful crack synonymous with beautifully cooked pork crackling. If you get it right, as they did here, the fat is rendered leaving you with a wonderfully moist and juicy piece of pork, surrounded by crispy, salty layer of crackling. The usual pork accompaniment of apple sauce, was replaced with a fresh combination of apple puree, teamed with crisp cucumber and watermelon. A refreshingly sweet combination, which really brought out the sweetness of the pork. Although you would not believe that we had room for more food, we all managed to share a side of crunchy polenta chips ($7.50) and some seasonal vegetables with chilli and garlic ($7.50). 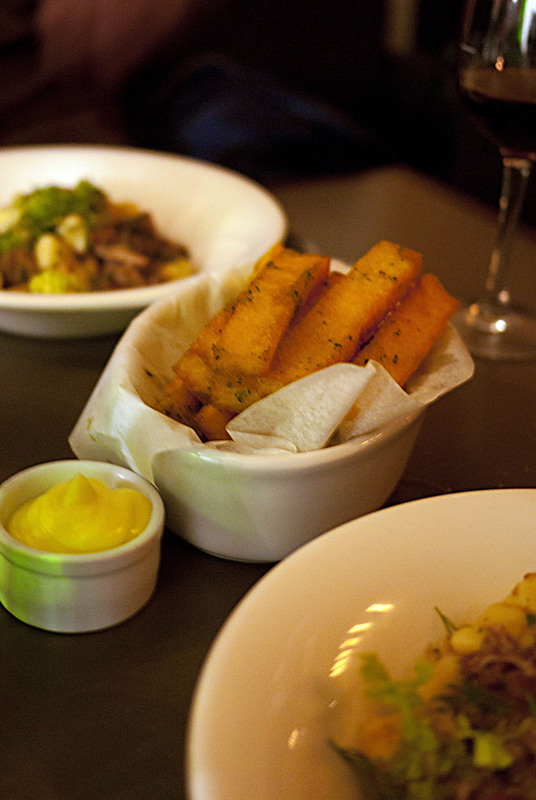 The Polenta Chips had a crunchy golden brown interior, revealing a soft and creamy filling, with big hits of of Parmesan. It was impossible to stop at one. 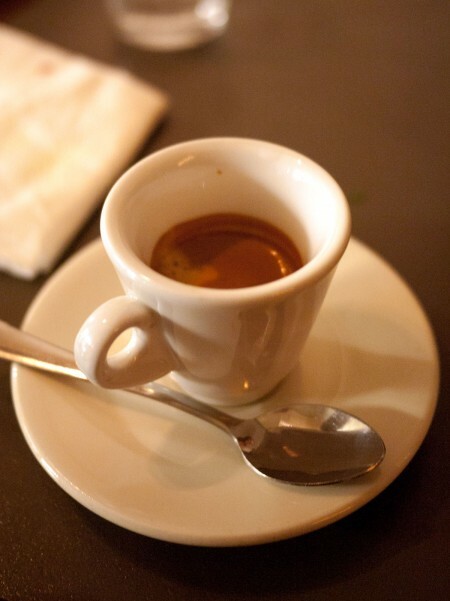 As we physically did not have room for more food, we decided to skip dessert, opting for a round of coffees instead. 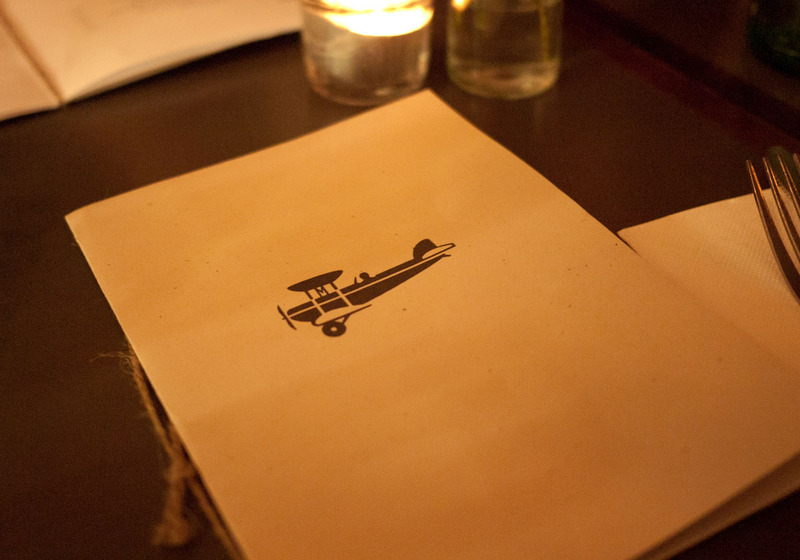 Now we will just have to start planning our meals for next year’s conference in Brisbane – all suggestions welcome!